It’s time to look at a rather obscure Kirby game. 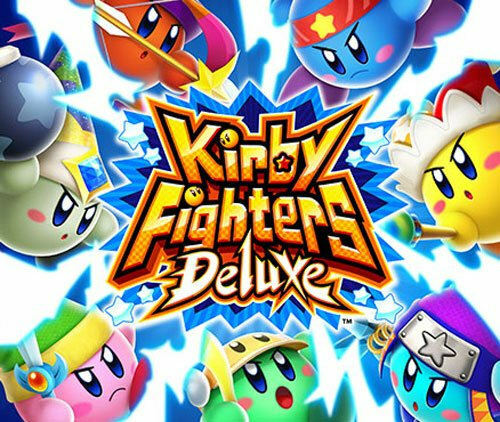 Between Kirby Star Allies, Battle Royale, and Robo Kirby who had time to remember to pick up this title? If not for My Nintendo giving a pretty big discount for this game I probably would have ended up passing on it as well. Still, it’s a quality game with good gameplay, it’s just a shame that it isn’t longer or that it doesn’t have more content. I realize that you can’t ask for much when a game is only about 2-3 dollars, but I’d still expect something a bit longer. There are 2 game modes to choose from here. Single Player or Multiplayer. In Multiplayer you fight against other people who own copies of the game. In Single Player you go through a gauntlet of 9 battles which is in a format very similar to Super Smash Bros. Once you complete that you will have effectively completed the game. On average I would complete a Single Player mode in about 5 minutes. There are 10 characters total so if you play with all of them then the game is about 50 minutes long which isn’t half bad. I managed to squeeze in about 2 hours, but you will ultimately struggle to play this game for very much longer. After all, there is almost literally nothing to do once you have beaten the game 10 times. I suppose you can just keep trying to beat the single player mode over and over again…but why? Lets take a step back for a moment and look at the gameplay. It is your classic 2D fighter. Each Kirby has a different moveset which relates to their weapon of choice. Some items will drop on the stage as well which you can use to try and seize the advantage against your opponents. It’s a pretty sound gameplay style and one that works well. It’s one of the reasons why I was able to complete the game 10 times over without getting bored. I probably wouldn’t have done so if there were too many more characters but 10 is certainly reasonable. My favorite character was probably beam Kirby. That guy felt pretty OP. Most of them are fairly good except Ninja Kirby which is probably the worst one in the game. The graphics are fairly solid. It does look like a modern Kirby game so I’ll give the title some credit there. The character designs are on point and the stages look lovely. It’s really everything that you could ask for in a Kirby game and then some. I also enjoyed the soundtrack which has all of the classic Kirby tunes that you would expect to see. There is really nothing wrong on a technical level and I suspect that this is where most of the game’s budget went. After all, it certainly wasn’t put into the content. Again, it’s not as if this is a bad Kirby game. After all, the gameplay is good and I just explained how the technicals are solid as well. I don’t need a game to be super long to be enjoyable but asking for more than an hour’s worth of content isn’t a big request. At least throwing in some more incentives to keep on playing would be nice. I’ve played free games that had a lot more content than this one and they weren’t by AAA companies like Nintendo. There is really no excuse not to have made the game a little longer. Overall, It’s a fun Kirby game. I would only hesitantly recommend it though as you will have more fun just popping in Super Smash and fighting each other there. There’s not really a whole lot of reason to play this game aside from the novelty of a Kirby fighter. It’s only a few dollars though so honestly you aren’t losing much if you choose to get it. If you are a true Kirby fan then you may be honor bound to purchase it, but if not then I recommend buying the Kirby Dream Collection. Now that game had a lot of content. This entry was posted in 7 Star Games, Game Reviews, Games, Reviews and tagged 3DS, Game Review, Kirby, Kirby Fighters Deluxe, Kirby Review, Nintendo, Nintendo Review, Review, Video Game Review by dreager1. Bookmark the permalink.